Earth Day – April 20, 2019 – 9:00 a.m. – 2:00 p.m.
Each April the Morongo Basin celebrates the annual Earth Day Fair. Presented by the Hi-Desert Nature Museum, the event has been a community favorite for over a decade. This year’s fair will take place on Saturday, April 20th from 9:00 a.m. to 2:00 p.m. and will be setting out again to educate, innovate, and inspire. In addition to learning about the latest and greatest planet-saving solutions, the event also features great shopping for amazing nature inspired or environmentally friendly arts and crafts. presented by Dr. Richard Hazlett, U.S.G.S. Hawaii. Dr. Hazlett presents a scientific overview of the largest eruption of Kīlauea volcano on the Island of Hawaiʽi in 200 years, which ended last September. Ten thousand persons were displaced or threatened, 700 homes buried with lava, and 800 acres of new land added to the island. Geologists tracked the unfolding activity with GPS receivers, seismometers, drones, infrasound and other technologies, some applied systematically to volcanoes for the first time. This eruption was historically important; scientists and residents of the Big Island will be talking about it a century from now. Dr. Hazlett was one of the participating geologists from the U.S. Geological Survey monitoring this activity, and will speak about what it taught us as we learn to live more wisely with Nature. 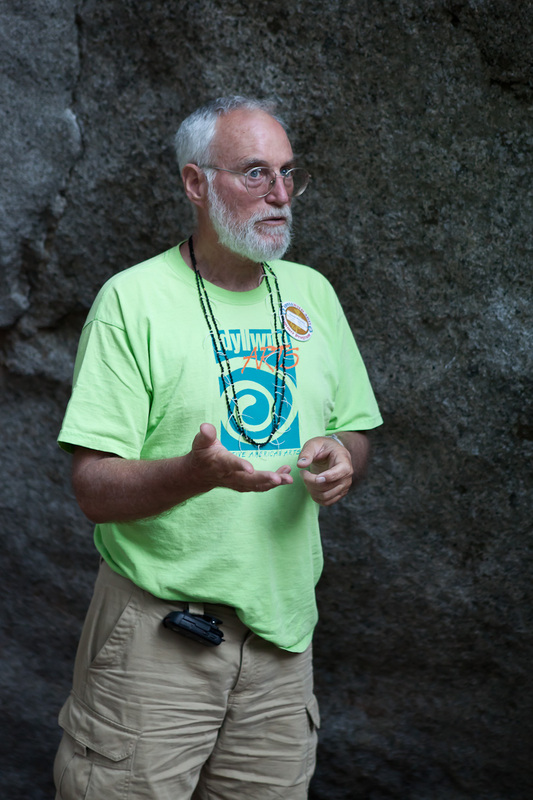 Dr. Richard Hazlett is a volcanologist, artist, environmentalist and academician who taught for 28 years at Pomona College in Southern California and currently is appointed as an affiliate faculty member of the Geology Department at the University of Hawaiʿi in Hilo, and a research associate with the U.S. Geological Survey Hawaiian Volcano Observatory. In addition to playing an intimate role monitoring and recording the recent Kīlauea east rift zone eruption, his field work has taken him as far afield as Central America, Italy, Iceland, and Alaska’s Aleutian Islands. His hobbies include snorkeling and reef-fish identification, landscaping, and practicing classical guitar. He is a resident of Wainaku, on the flank of Maunakea. He is a co-author of two books of local interest, “Roadside Geology of Hawaii” (Mountain Press), and “Volcanoes: A Global Perspective” (Wiley-Blackwell Publishing). Bring your friends, or just bring yourself to our Lecture Series once a month. Speakers will present topics of special interest for high desert residents. The lectures start at 12:00 p.m. Admission is $ 5 or free for Museum Members/Sponsors. Beverages will be served. presented by Daniel McCarthy, M.S. Native Americans have lived in this region for thousands of years prior to the arrival of Europeans. Baskets are perhaps one of the oldest artifacts used continually throughout much of prehistory and that continue to be made today. An overview will be presented about the materials use to make them, their age and uses. Join us in learning more as we discover our past. Daniel McCarthy, M.S., Anthropology, has worked at Anza-Borrego Desert State Park, Joshua Tree National Park, San Bernardino National Forest and throughout Southern California compiling photographic inventories of the rock art of this region. Formerly he was the Director of the Cultural Resources Management Department for four years with the San Manuel Band of Mission Indians and spent 18 years on the San Bernardino National Forest as archaeologist and Tribal Relations Program Manager. His research interests include desert archaeology, Native American uses of plants, aboriginal trail systems, material culture of the Cahuilla and Serrano Indians and recording rock art. Thursday, February 21st, has been rescheduled for Thursday, February 28th. We are pleased to announce the 1st Chamber Music concert of the 2019 season at the Hi-Desert Nature Museum on Saturday, February 16 at 7:00 p.m. and on Sunday, February 17 at 2:00 p.m. for a Matinee. During this concert series, titled “A Musical Journey through Space and Time,” the Encelia Chamber Ensemble will be joined by several soloists. *UPDATE: SATURDAY AND SUNDAY PERFORMANCES ARE NOW SOLD OUT! Joseph Grinnell and his colleagues at the Museum of Vertebrate Zoology, University of California, Berkeley, documented the fauna of Joshua Tree National Park and the Mojave National Preserve through site exploration primarily during the late 1930s to the early 1950s. Since 2016, the Department of Birds and Mammals at the San Diego Natural History Museum has been resurveying these same sites, using the historic surveys as a standard for gauging more recent changes. In Joshua Tree, the main theme of change is the decrease of many species associated with chaparral and pinyon/juniper woodland, paralleling the decrease in these habitats wrought by drought and fire, but a few species have recently colonized Joshua Tree. Join Dr. Lori Hargrove for this very informative lecture and see which species of birds and mammals are moving in and which have left the Morongo Basin. Bio: Dr. Hargrove first joined the San Diego Natural History Museum as a volunteer in 1995, where she became fascinated with birds and their habitat relationships. She went on to receive her PhD in Biology at UC Riverside, where she won numerous research awards. A focus of her study has been on elevational shifts of bird species and the mechanisms involved, including response to fire and climate change. She is now leading a variety of ecological research projects for the museum, including the NSF-funded Grinnell Resurvey Project. Bring your friends, or just bring yourself to our Brown Bag Lunch Lecture Series once a month. Speakers will present topics of special interest for high desert residents. The lectures start at 12:00 p.m. Admission is $ 5 or free for Museum Members/Sponsors. Beverages will be served. Every year the museum takes a look at one of our favorite holiday customs at its origin and development over time. With the season in full swing it is time to put an ear towards music. How good of a King was Wenceslas? Who spent Christmas in Beverly Hills? Why do we sing spring carols in winter? Myths and stories surround many of our beloved Christmas carols. Learn some interesting and amusing facts about these songs during this entertaining lecture. Join in and sing along with some popular tunes with live cello and recorder accompaniment. Bring your bring your friends, or just bring yourself to our Brown Bag Lunch Lecture Series once a month. Speakers will present topics of special interest for high desert residents. The lectures start at 12:00 p.m. Beverages will be served. This lecture is free for the holidays. Enjoy a holiday wonderland at the Yucca Valley Community Center! SHOP FOR UNIQUE GIFTS at the annual Holiday Craft Faire featuring all handmade items by talented local artisans. Win Door prizes and enjoy holiday shopping! Bring your camera for that SPECIAL PICTURE WITH SANTA at the Hi-Desert Nature Museum. Drop off your LETTER TO SANTA in the special mailbox! Holiday themed KIDS’ GAMES & ACTIVITIES! In the summer of 1942, a fifty-seven year old engineer and local eccentric by the name of Frank Critzer was known for two things: as the owner/operator of the Giant Rock airstrip in Landers in the Mojave Desert, and as the man who lived alone – under a rock. The Giant Rock. During a criminal investigation Critzer caused a quantity of dynamite, stored in his home, to explode. Critzer was killed immediately while the three deputies suffered non-fatal wounds. But why? This lecture will focus on the forensic evaluation and post-blast investigation as well as address the many rumors and inconsistencies about this most bizarre case. Mike Digby retired as a detective/bomb technician after serving 34 years with the Los Angeles County Sheriff’s Department and seven years with the United States Army. He has provided bomb training to police and military organizations around the world. He has also authored two books: The Bombs, Bombers and Bombings of Los Angeles (2016) and A Bombing in the Wilshire-Pico District (2018). Bring your lunch, bring your friends, or just bring yourself to our Brown Bag Lunch Lecture Series once a month. Speakers will present topics of special interest for high desert residents. The lectures start at 12:00 p.m. Admission is $ 5 or free for Museum Members/Sponsors. Beverages will be served. Download flyer here. a non-profit partner of the National Endowment for the Humanities. On Saturday, October 27th the Hi-Desert Nature Museum and the Town of Yucca Valley Recreation Department will host a Halloween Spooktacular at the Yucca Valley Community Center from 12:00 p.m. to 4:00 p.m. Participants of all ages are invited for an afternoon of Halloween-themed games and activities including a haunted house, face painting, photo booth, costume contest, a giant inflatable obstacle course, spooky crafts and a Trick-or-Treat booth! All activities are free to the public. Kids, get dressed in your Halloween best and enter the costume contest! Awards will be presented in four age divisions: ages 0-3 years, 4-7 years, 8-11 years and 12+/group entries. Ages 11 and under will compete for awards in four categories: Best in Show, Scariest, Funniest and Most Original. Ages 12 and over along with group entries will compete for a single Best in Show award. This is a family friendly event so G-rated costumes only, no gory or inappropriate costumes please. Registration is accepted in the Yucca Room at the event from 1:00 p.m. to 2:45 p.m. Space is limited and judging begins at 3:00 p.m.
Download Costume Contest Rules here.